Crystal Disk Mark 3.0 is in the spotlight. 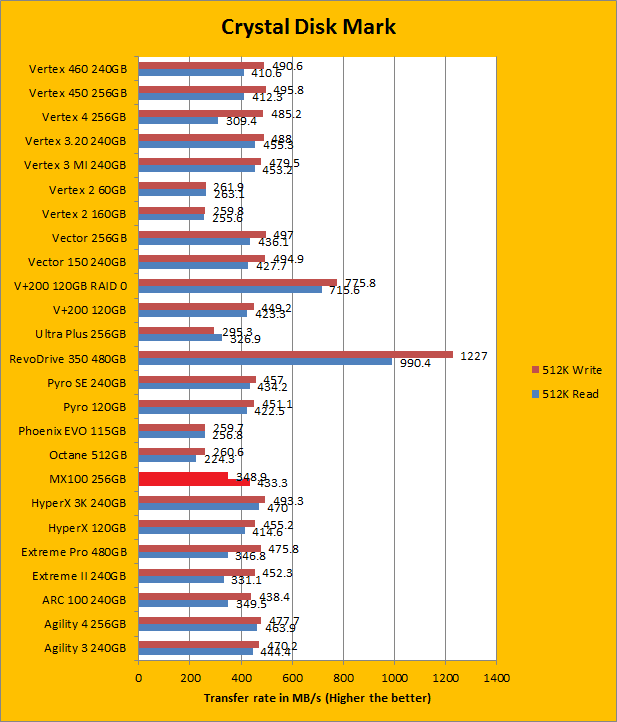 Just a bit of background information; higher capacity drives tend to perform a little better in these tests. The ability of a controller and flash memory to deliver high IOPS will provide huge benefits to the score as well. 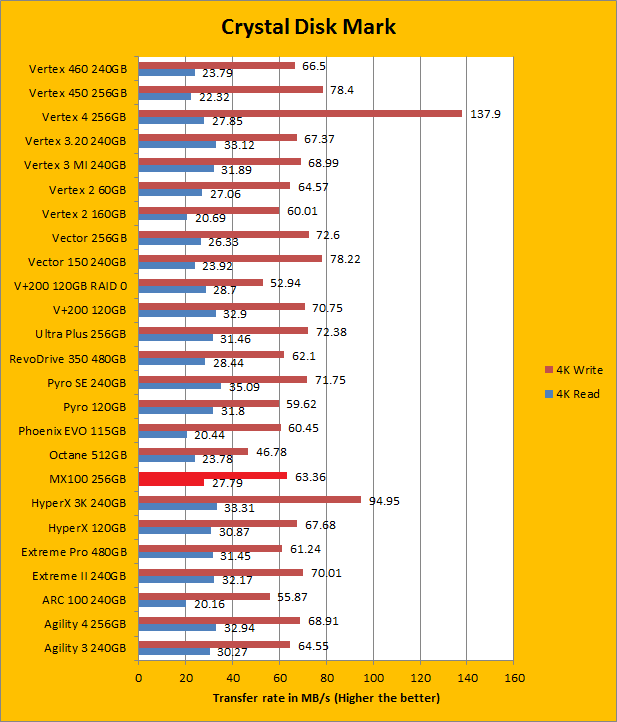 As you can see in our charts above, the Crucial MX100 256GB continued to be an extremely competitive mainstream drive, as it handily outperformed the OCZ ARC 100 240GB in literally every test. Actually, it is not totally out of place even when compared against some of the top drives in the market today. 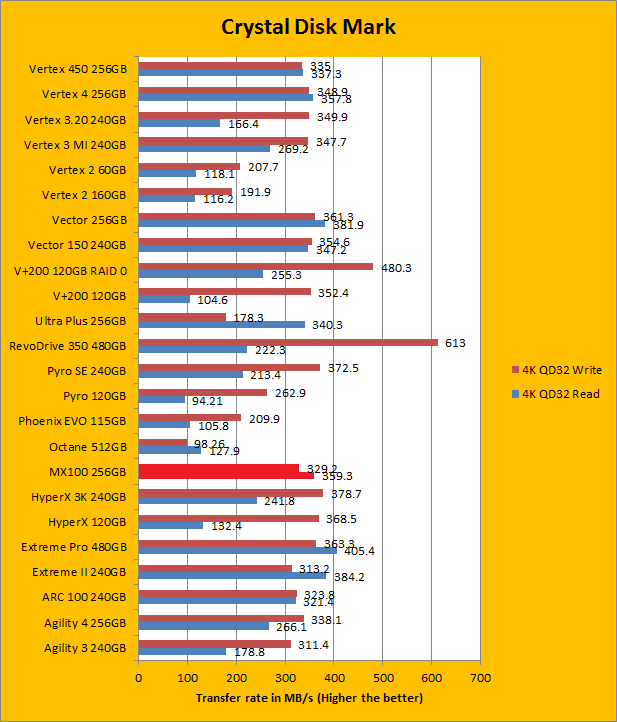 I will let you read the data for yourself in our big list of solid state drives above.